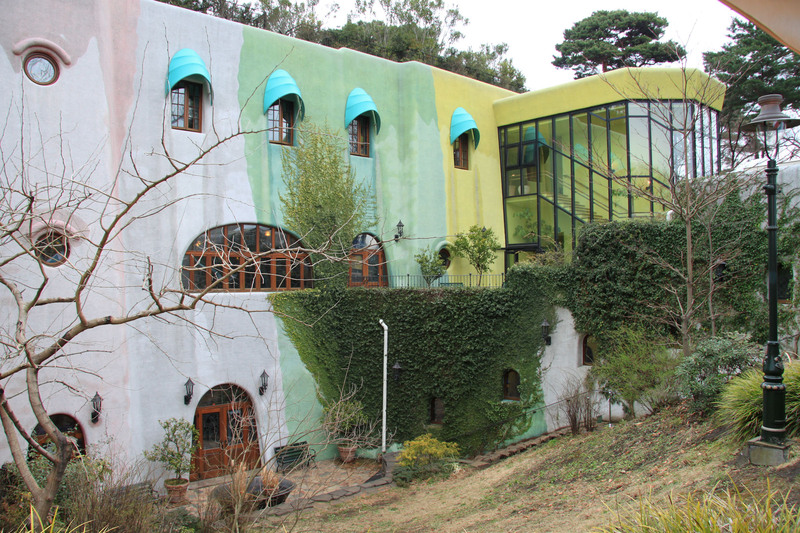 The Ghibli Art Museum, dedicated to the animation studio of the same name, is located in the small town of Mitaka, in Tokyo’s eastern suburbs. 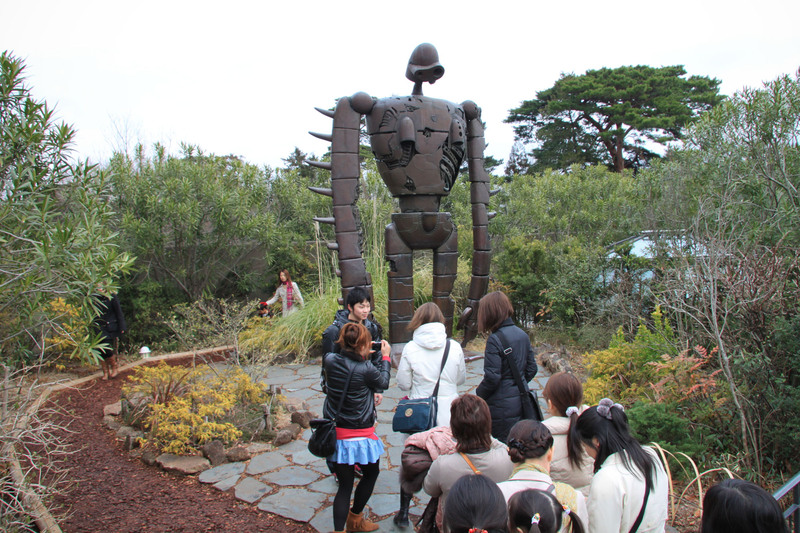 It was built under the supervision of Goro Myazaki, the son of celebrated director Hayao Miyazaki, who then remained in charge until 2005. One can discover the work carried out backstage of the famous studio that gave birth to Spirited Away and Princess Mononoke. 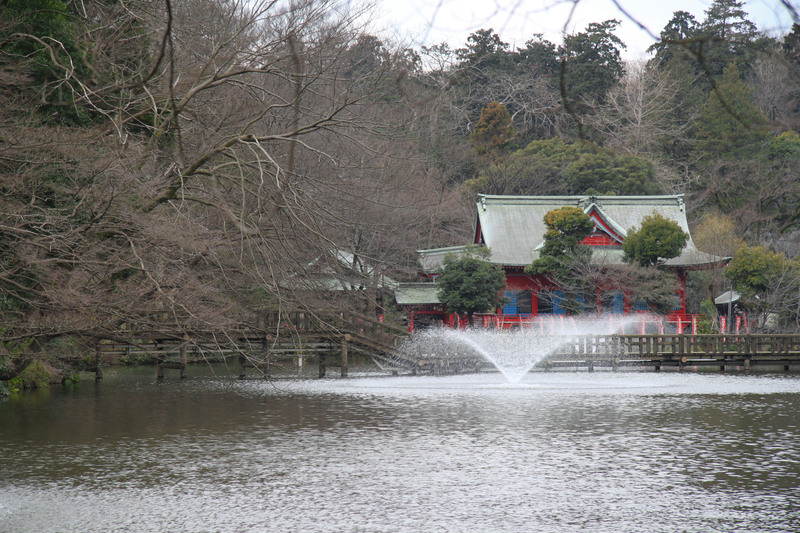 From the small station of Kichijoji, walk through the lovely park of Inokashira. 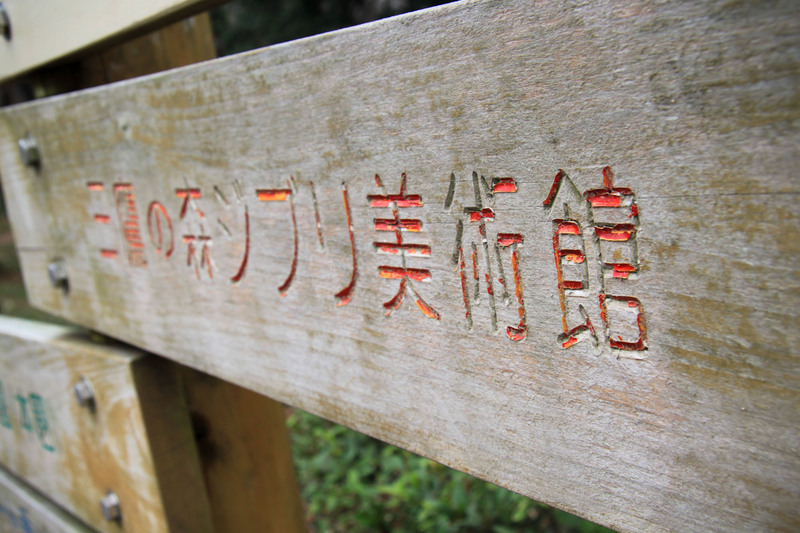 Prettily decorated signposts will point the way for you. 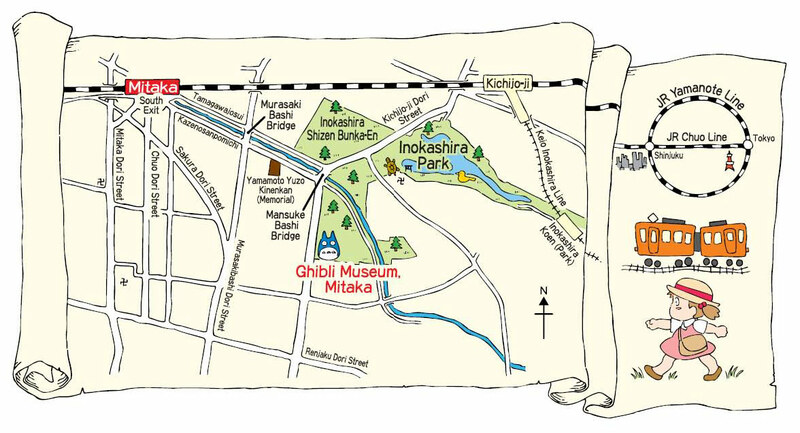 As an alternative, you may also get off at Mitaka station and take the neko-bus (the enormous flying cat sporting innumerable legs featured in My Neighbour Totoro) to get the feel of the atmosphere straight away and avoid walking. 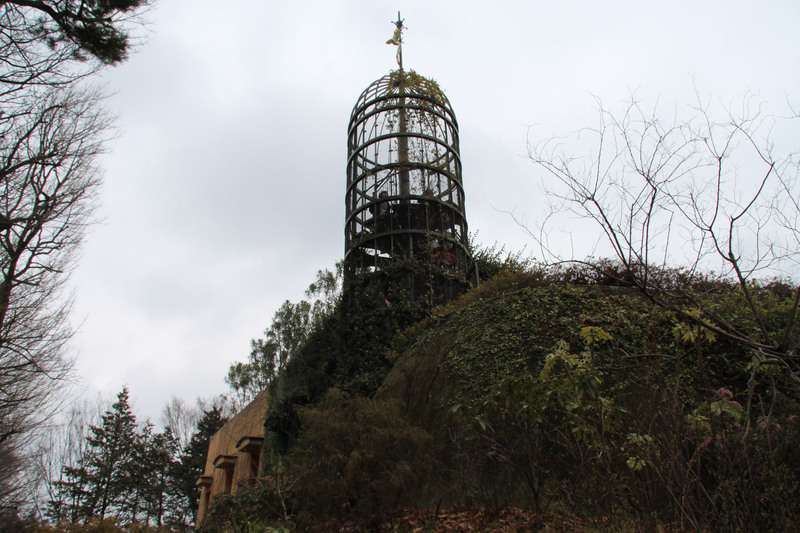 The large entrance gate appears after a few minutes, at the edge of the Mitaka forest. 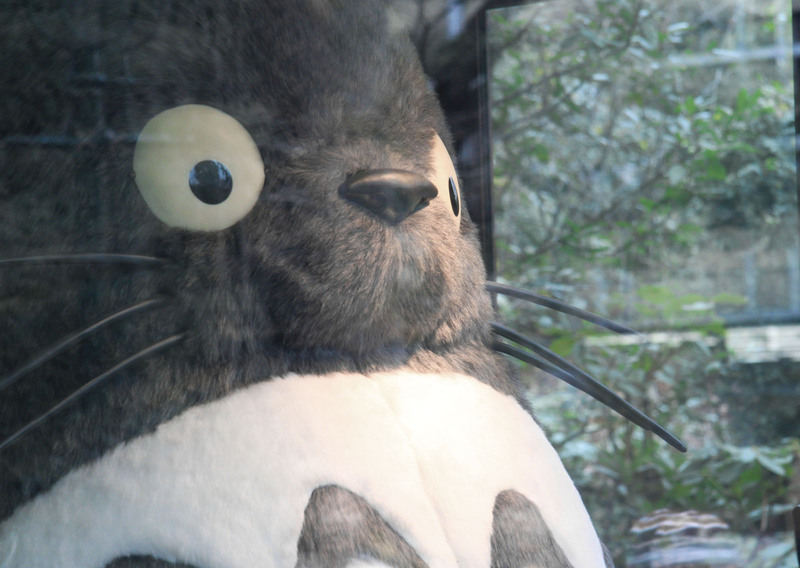 A giant plush toy Totoro standing before a fake ticket office welcomes visitors, who are first taken to see the outside of the building, a funny architectural fantasy. 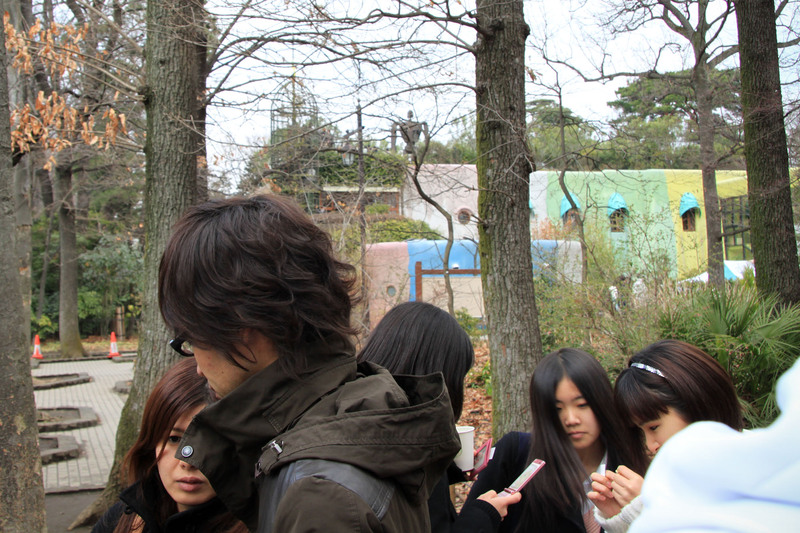 They then hand over their vouchers to the staff under the arbor. Caution: Advance bookings are compulsory. 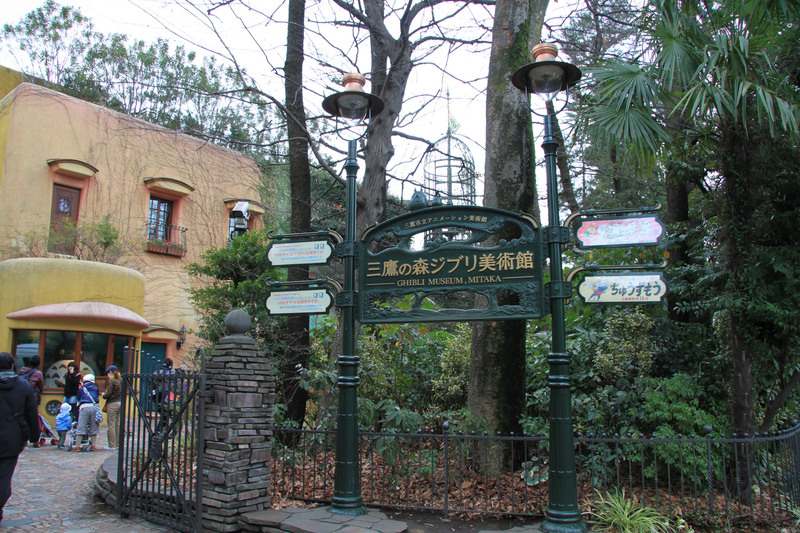 After a short wait in line, you are given your entrance ticket and an official Ghibli Museum brochure translated into several languages as well as a small piece of film print from one of the studio’s movies. 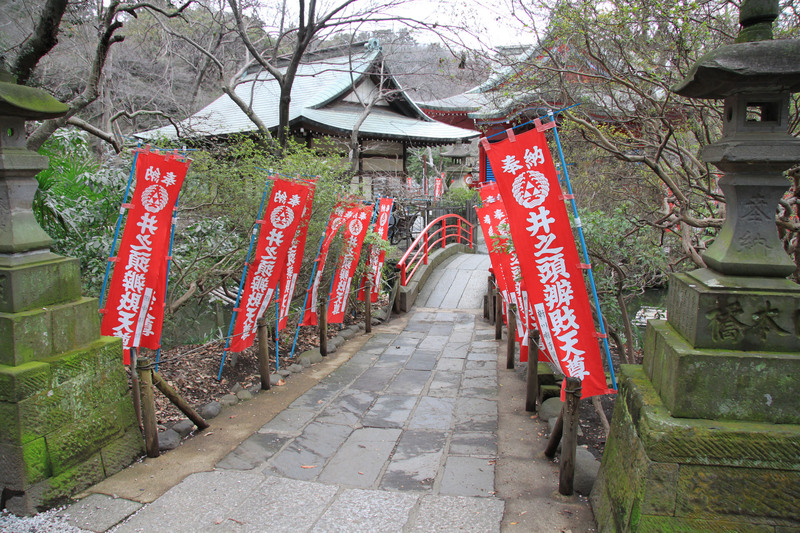 The visit is conducted in Japanese only and photos are forbidden inside the building. 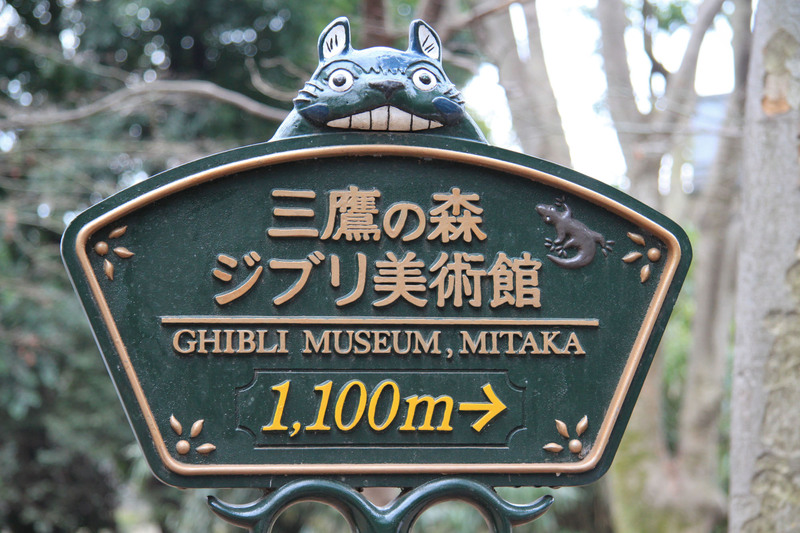 There are several variously-sized rooms where you can discover the indescribable charm of the worlds created by the Ghibli studios. You will see exclusive paintings on paper and cels (transparent sheets of cellulose acetate), wonderful dioramas with animated toy figures, a reproduction of Hayao Myazaki’s office and a large room where temporary exhibitions are hosted, mostly about the studio’s latest release. 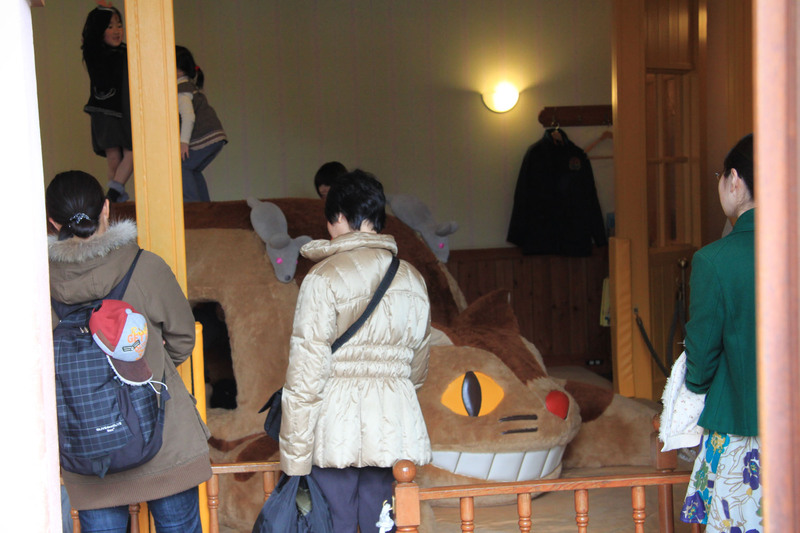 There is an adjoining playroom with an enormous neko-bus plush toy where children only may have some fun! 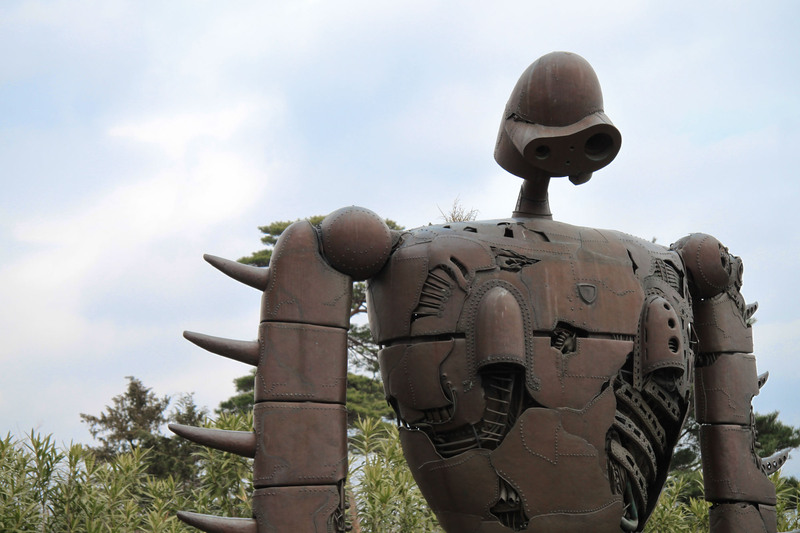 Climb the spiral staircase to the roof of the Museum where a life-size reproduction of the giant robot from Castle in the Sky is there for you to take a photo of him. 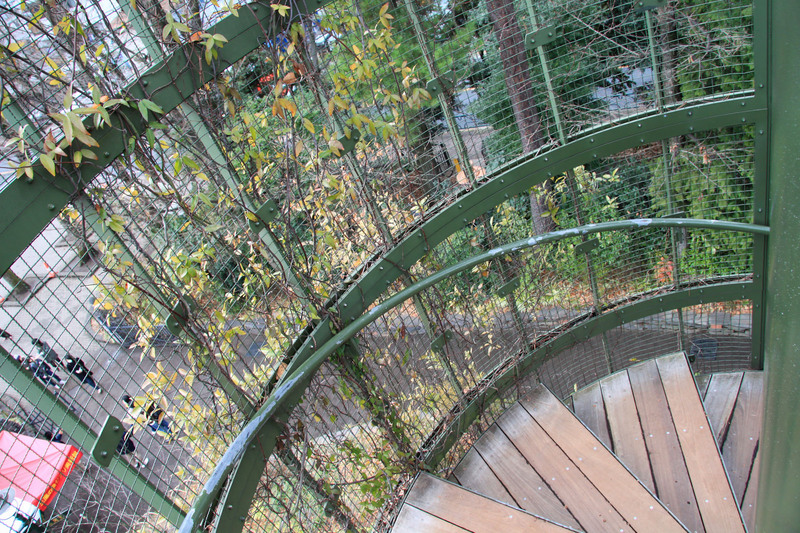 When climbing back down to continue your visit of the outside of the Museum, there is a coffee shop for you to relax indoors or on the outside patio. And naturally, a very well supplied shop (named “Mamma Aiuto” after the gang in Porco Rosso!) will provide an opportunity for delighted visitors to spend the yens in their wallets. 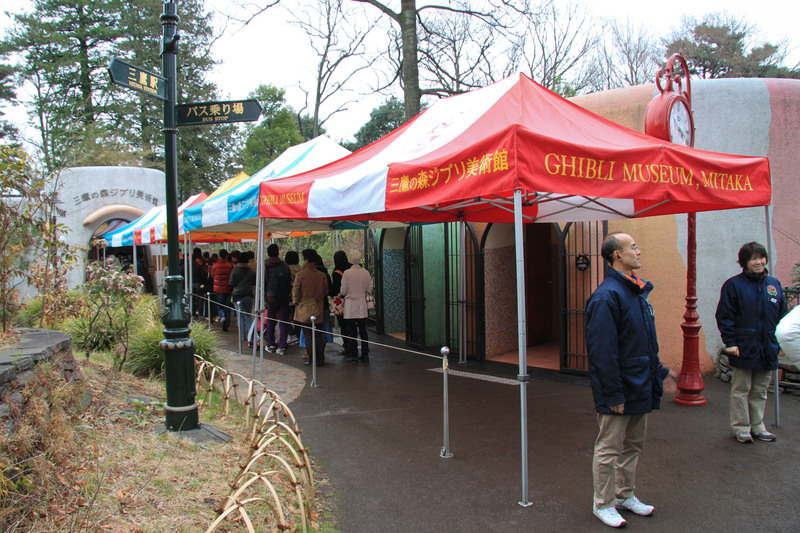 A chain store with shops throughout Japan, Donguri Kyowakoku, holds the official licence to sell Ghibli by-products and goodies. However there is nothing like actually going in order to take in its unique atmosphere. 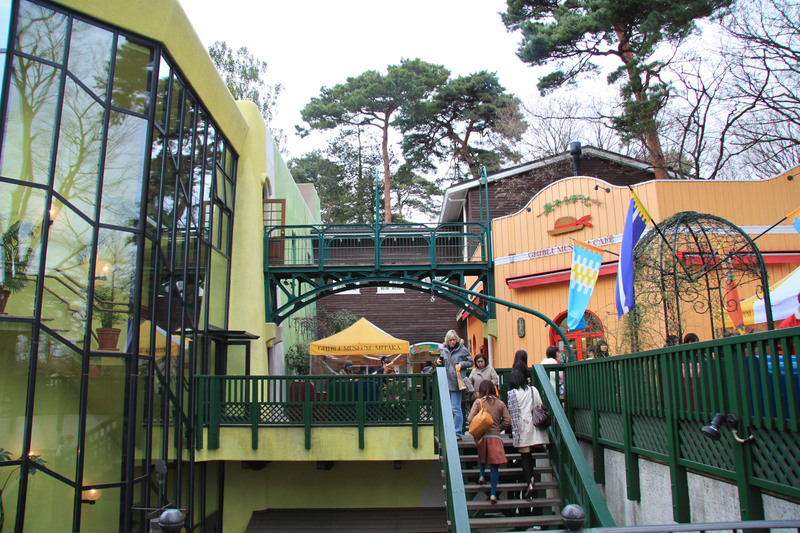 There is a movie theater built slightly below ground floor level. 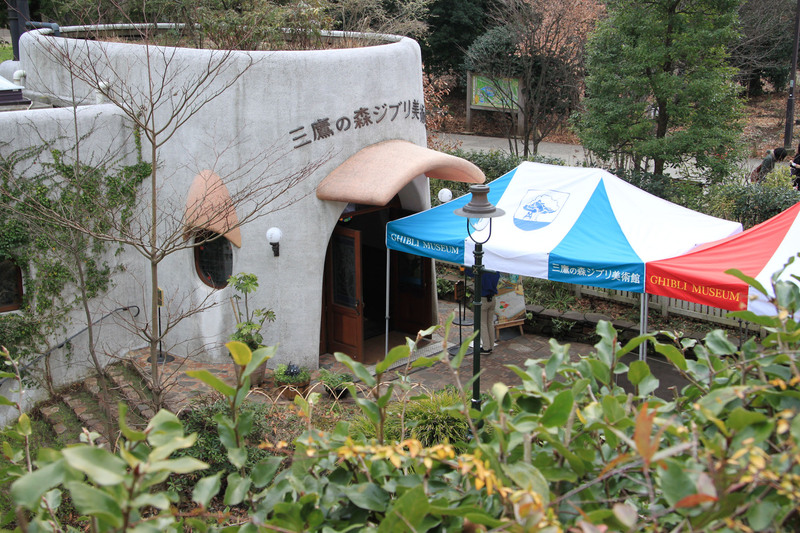 It is called the “Saturn Theater” and shows unreleased exclusive short movies from the Ghibli Studio such as Kujira Tori or Chu Zumo (most were produced or even directed by Hayao Myazaki himself!). At the time of writing, it is not possible to see these funny little movies anywhere but at the Museum, neither on DVD nor Blue-Ray, and they cannot be downloaded either, which adds to the unique experience of watching them at the Museum. 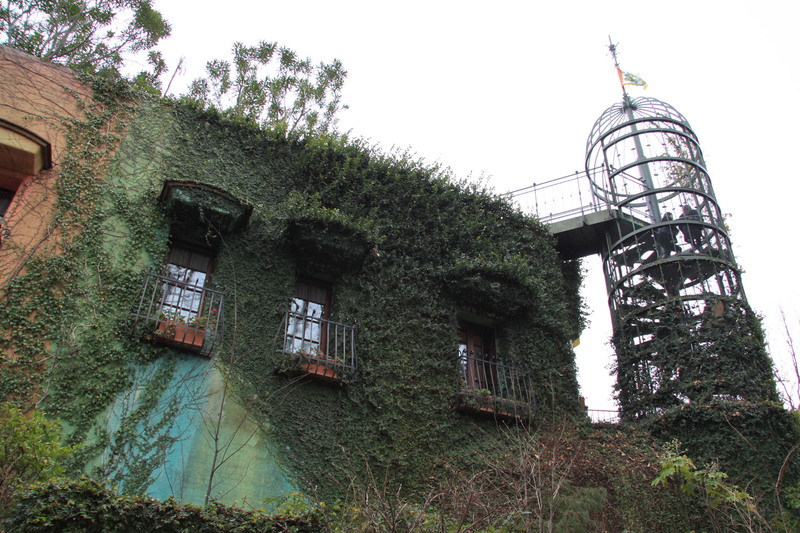 Get a feel of the magical atmosphere of the Ghibli Museum by taking a look at our photo gallery until you can discover it all onsite. Café open from 11 a.m. to 7 p.m.